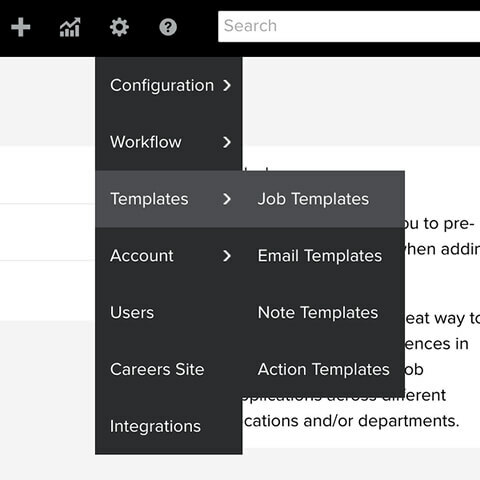 Job Templates make it easy to create unique job configurations for different locations and departments. For instance, you could create 3 different job templates with different candidate questions for engineering, sales and marketing positions… so you don’t have to re-build a job application every time you create a new job. 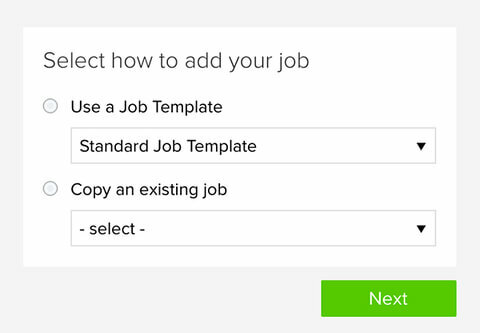 Job Templates also allow you to store specific job description text, images/videos, and more, making it that much easier to add new jobs. Now users with the owner and admin access level can create as many job templates as they want.